The proof lies in the below case studies. We have done our research to prove that digital OOH (DOOH) works. Whether it is to use DOOH correlating with real-time traffic conditions, timing the ads according to the real-time scoring updates of NFL games, there are a number of ways your brand can make use of this versatile medium. In 2014, Service King acquired existing collision repair centers and re-branded them as Service King locations in markets that had no prior awareness of the brand. Read more to know how they made great use of DOOH. 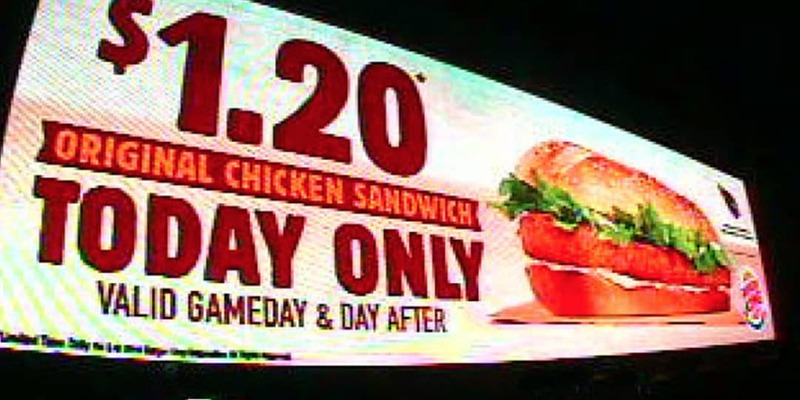 Burger King wanted to utilize OOH to increase awareness of their $1.20 Original Chicken Sandwich promotion in the Phoenix, Arizona market by displaying creative unique to the Cardinals game results. Read more to know how they used real time scoring updates with their DOOH. 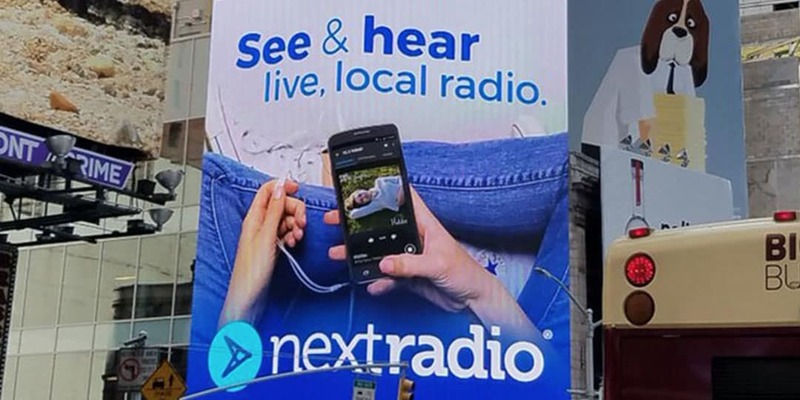 The brand wanted to increase NextRadio app downloads and listening while generating brand awareness through location specific ads on strategically placed OOH assets. Read more to know how they increased their app downloads through the use of DOOH.